The first one was Lotje's House Block (very cute, I made several). Next was Muriel's Diamond Cross Block (made several of those as well) EvaMarie chose a very appropriate Windmill Block and the most recent block was Mari's Improv Curvy block (I haven't tried that one yet, sounds intriguing though). 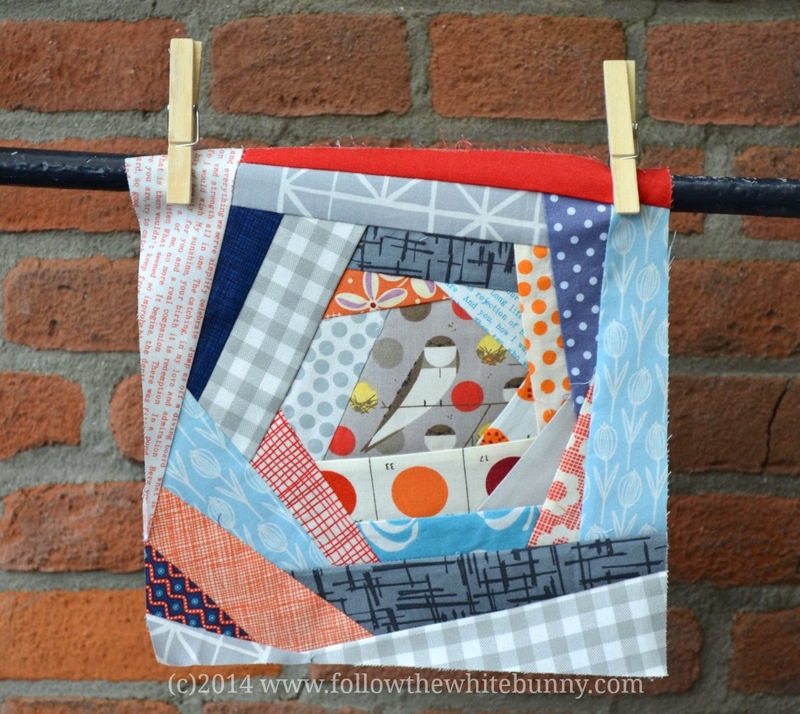 Today I'm adding a 'Crazy Quilt Block' to the lot! 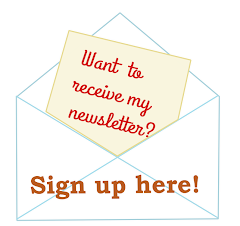 What is a Crazy Quilt Block? While I was researching Crazy Quilt Blocks on the internet I saw two different types of 'crazy'. One is where you use a pattern, well that's not 'crazy' enough for me and sounds rather restricted. So I'd rather do the improv version where you simply start and built up your own block. When I made my block (the one pictured above) I didn't use a tutorial, I just started sewing one scrap to another. Later I found out that it's far more common to use some sort of foundation for your improv Crazy Quilt Block, like paper or muslin. My block is doing fine without foundation but I can see the advantages of using foundation paper or fabric. Some quilters even add some batting to make a 'Quilt as you go' type of block. I started with a very cute Charley Harper fabric and as you can see I roughly followed the shape of the bird and started with five sides. After that it's much like sewing a crazy log cabin block. You keep on adding strips all around and -important!- cut them at interesting angles after you've added them. Continue until you have reached the size you want. I made a 9" block using a limited palette of blue, grey, orange and red as these are the colours I chose for my Sampler Quilt. 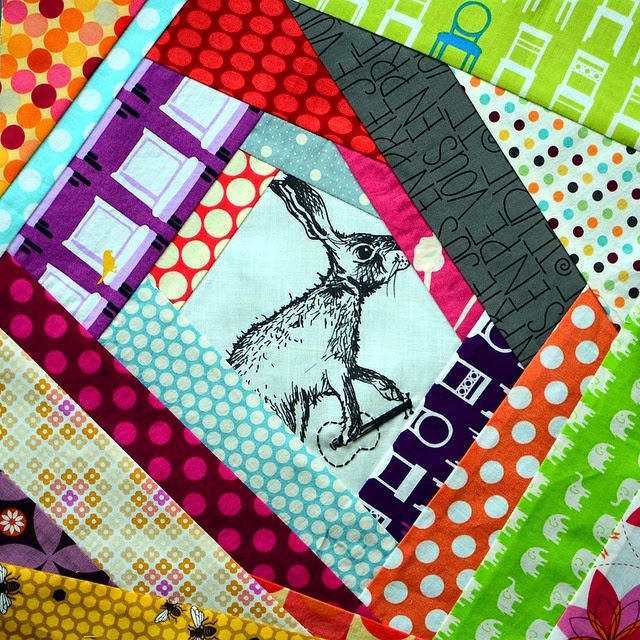 On Flickr I found this lovely 'Bunny Vortex' block Maritza Soto made for a Quilt Bee. Julie Frick made the Bee Blocks into this amazing quilt. If I didn't already have more than 5 (possibly nearly 10 I lost count/am in denial) quilts 'in progress' I'd start my Crazy Quilt tonight! Hope you will enjoy making this block as much as I do. Don't forget to join our Double Dutch Sampler Quilt group on Flickr if you want to sew along with us and share your progress with us. Love your fabriic choices Nicole!! Great blocks! That's a fun block, very free! Building my list, I really love to make this one! !